We’ve almost reached our goal! Schaffhausen is planning to build a Skatepark. This project ended successfully on 4/8/2016 19:00! You will receive an A4 photo from the Ännvier Skateboard archive and 5 skatepark stickers at the opening event. One sausage (LUMA Beef or veggie) and a drink of your choice at the opening event. One Burger (LUMA Beef or veggie) and a drink of your choice at the opening event. Participation in a skateboard course for five. A foldable bow grill from Carhartt & a six pack of our Skatepark beer. 1 Set «GummiLove» linen bed cloth + a sixpack of our Skateparkbier. A chance to take part in a private skateboard course, with one friend given from Ännvier Team rider, Andrin Leu in the new skatepark. A DaKine backpack reserved for you, filled with skateboard goodies worth CHF 250- from Work4donuts skateshop. A big hug from Ännvier Team rider, Raffi Oberle and your name printed on our Sponsor wall. A High Five from Ännvier Team rider Hendrik Strütt plus your initials will be in graves in the park. A graffiti workshop for you and 4 friends in the new park. A concert from your favorite Skatepunk-Band Shitface, in the privacy of your own living room. A chance to celebrate your birthday in the new skatepark including a skateboard course with a lot of extras for you and 7 friends. 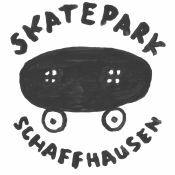 Be pampered and enjoy a 3 course candlelight meal in the new skatepark for 4, served on Disco roller skates by members of the ’Skatepark Schaffhausen Club’. And you will be handed a Skatepark Goodie Pack and a six pack of Skatepark-beer as you leave.